Marlin “Bart” Barton has been named the first recipient of the Truman Capote Prize for Short Fiction by an Alabama Writer. The prize will be given during the annual The Alabama Writers Symposium in Monroeville at Alabama Southern Community College on March 31-April 1. The Capote Prize ceremony will be held on April 1 at 2:45 p.m. in the courtroom of the Old Monroe County Courthouse, the model for the courtroom in the film adaptation of To Kill a Mockingbird. Don Noble, literary scholar, critic, and host of the TV literary talk show Bookmark, was instrumental in the creation of the prize. 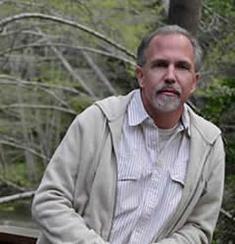 A Forkland, Alabama, native, Barton is the Forum’s Assistant Director for Writing Our Stories.